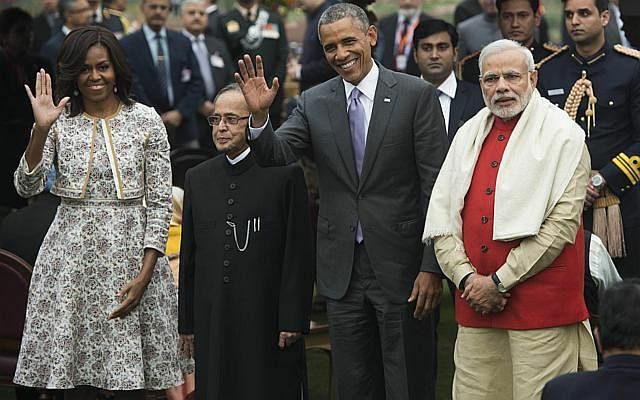 On a recent three-day visit to India, United States President Barack Obama often found himself between two fashion icons, his wife Michelle, and Indian Prime Minister Narendra Modi. Mr Obama praised his host's style at a state dinner in New Delhi on Sunday, saying: "One of our newspapers back home wrote, 'Move aside, Michelle Obama. The world has a new fashion icon.'" Was he being polite? Revisit Mrs Obama and Mr Modi's looks and decide for yourself. 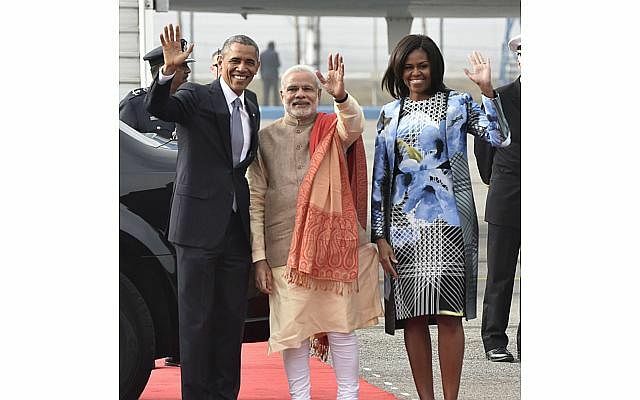 Mr Modi made a fashion statement with a saffron paisley shawl, welcoming the Obamas at Palam airport. 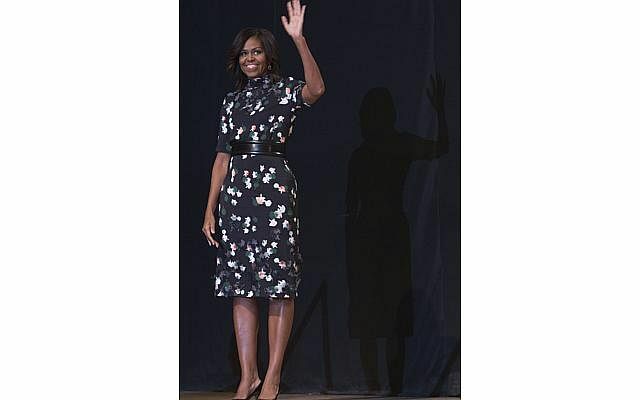 Mrs Obama wore a black, white and blue floral printed dress and matching jacket by Indian-American designer Bibhu Mohapatra. For a talk with Mr Obama, Mr Modi changed into a suit with pinstripes that were actually embroideries of his own name. For the state dinner, Mr Modi picked a beige suit and Mrs Obama chose something brighter, a navy and red brocade jacquard dress by Venezuelan-American designer Carolina Herrera. Unfortunately, as The Guardian noted, she also "managed to match and/or complement the carpet, chairs, floor". 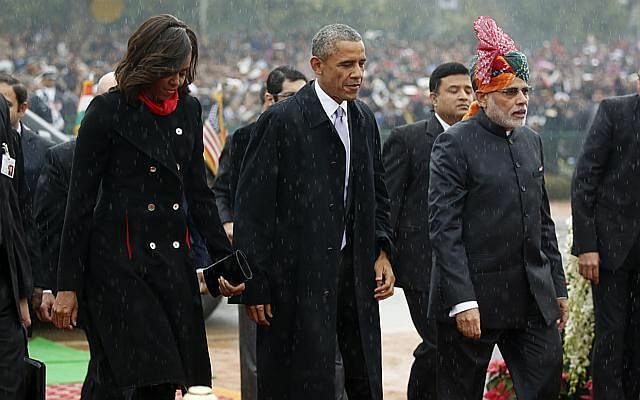 Mr Modi's hat stole the limelight at the Republic Day Parade. 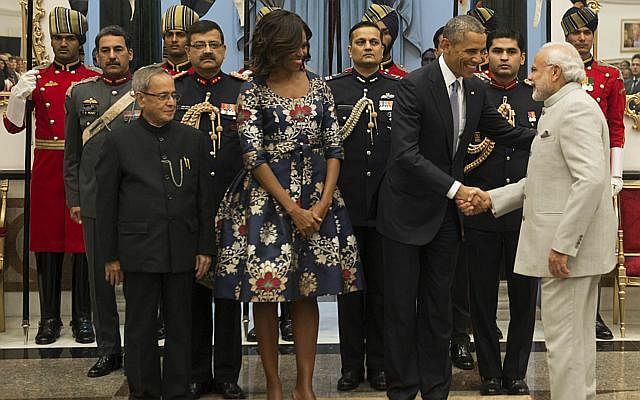 Mrs Obama's outfit at a reception was more muted than Mr Modi's. Mrs Obama wrapped up the visit in a black floral dress.